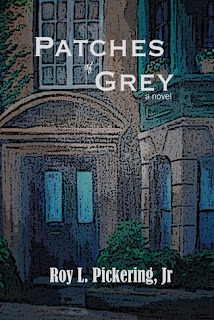 #BookReview: PATCHES OF GREY by Roy L. Pickering, Jr. | Read in Colour Read in Colour: #BookReview: PATCHES OF GREY by Roy L. Pickering, Jr.
#BookReview: PATCHES OF GREY by Roy L. Pickering, Jr. In a story that at times reminded me of Matty Rich's Straight Out of Brooklyn, Roy L. Pickering, Jr. deftly weaves a coming of age tale of Tony Johnson in Patches of Grey. And while Pickering could have taken the easy way out and strictly focused on one main character, he takes the time to tell not only Tony's story, but that of his siblings and parents as well, each as fascinating as Tony's. Tony is every inner city youth that dreams of making it out, except he doesn't plan to do it by being a rapper or athlete. He dreams of going to college. Normally you would expect one's parents to be supportive of that kind of dream, but his father's defeatist attitude weighs heavily upon Tony's shoulders. Even as Tony walks the straight and narrow, his younger brother CJ is on the path to destruction. Completely unimpressed with school and what it offers, CJ belongs to a gang. Somewhere in the middle is their sister Tanya. At the age of 16, she's obsessed with losing her virginity. I was intrigued with the fact that the younger brother was the wayward one. In most books, the older sibling's bad habits lead to the younger sibling's desire to do better. So it was interesting to see the roles reversed. On the other hand, it could have been that the parents had more time and were less stressed when raising Tony (and his sister Tanya) and by the time CJ came along, he was left to raise himself. It's also interesting to note the differences between the relationships that their father shared with Tanya and the boys. While Tony's relationship with his father is antagonistic at best, Tanya's relationship with him had me wondering if I was reading about a completely different man. No, really. It took me a minute to realize that this belligerent man who berated his oldest child was the same man that coddled his daughter and offered her words of encouragement. Through Lionel's back story, the reader finds out why he's so hard on his son and how he came to be in the situation he's in. Undoubtedly, his perceived failures shape the way that he treats Tony. And while he believes that he's preparing him for the real world and teaching him life lessons, he's slowly losing his son's respect and love. 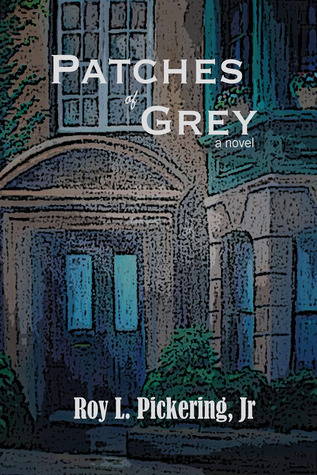 Aptly named Patches of Grey, Pickering proves that, indeed, life is rarely black or white. As I mentioned before, I love that everyone in the family has a story to tell and is actually allowed to tell it. Not a thing. My biggest regret is that it took me so long to move it up on my "to be read" list. From the Mailbag: When Is a Book "Read?"